Sco 9, Near Sunny Club, Sunny Enclave, Kharar, Mohali - 140301, India. A home is a haven of love, where memories are created and families make their dreams come true. With great attention to detail and placing strong emphasis on the optimum utilization of every livable space, Nine Homz are living options of extraordinary engineering that will stand strong through the tide of time. 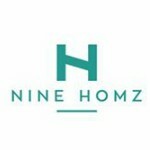 Set your life on an enchanting journey by making Nine Homz your proud abode.